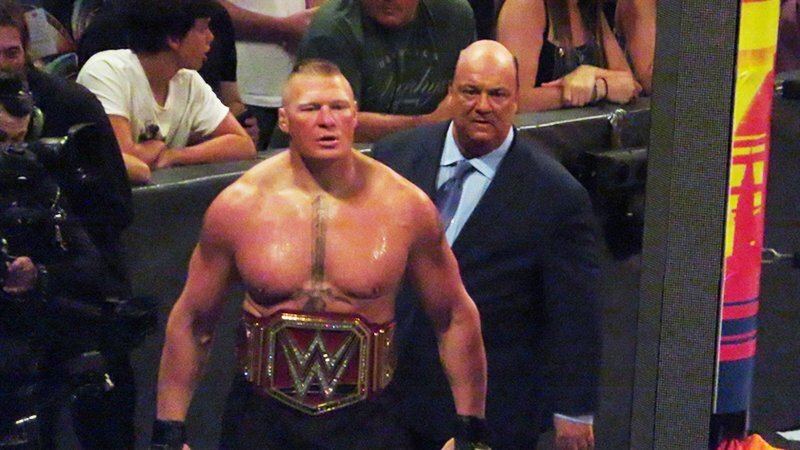 Brock Lesnar and his lawyer Paul Heyman opened Monday night RAW. Heyman's opening promotion gave all honesty to Lesnar's new challenge, Finn Balor. He talked about how he and everyone else believed in Finn Balor because his track record has proven it. But Heyman said his client will "make Finn Balor a martyr." He will be sacrificed for sin to make fans believe he could turn Lesnar into the WWE Universal Championship. "Here's your spoiler alarm for Monday Night RAW. Even miracles fear Brock Lesnar." Paul Heyman promo was interrupted by none other than Vince McMahon. He said he felt that Heyman was "soft" and that he believed it was "passé" to believe in Finn Balor's chance. McMahon continued, "If any of you in hillbilly country actually think Finn can beat Brock, then you definitely believe in adventure." Yet another interruption came in the form of Braun Strowman, who was initially penciled in to meet Brock Lesnar at Royal Rumble. "What the hell are you doing in here?" Asked McMahon. Strowman said while last Monday he was the worst night of his life, but it was the luckiest of Lesnar when he did not have to meet him and promised he would meet Lesnar in the future. McMahon liked the aggression of both, and Lesnar versus Strowman was then made for Monday even RAW.